As most of you know, I have had a rough week. Not sure if it was a demonic stomach bug, foodbourn illness or what, but it was 7 days ofmisery! I am feeling much better today, just getting my energy back and catching up on house work so not a lot of time to cook. If you don’t like cheesecake or feel like a little chocolate, feel free to use the 60-Second Chocolate Shot recipe! 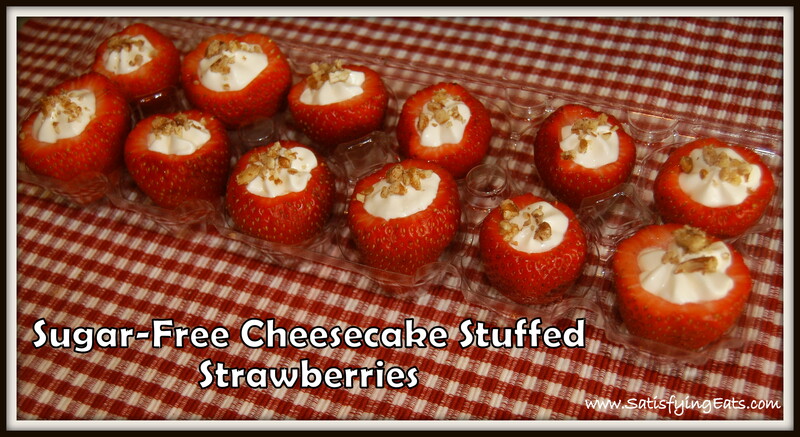 It would be like an inside-out chocolate covered strawberry! Yummy! I hope you enjoy this EASY recipe and enjoy your Dad tomorrow! I wish I could spend just one more day with my Daddy. To give him one more hug and to tell him I love him one more time. Cherish the time you spend with your family and friends! Wash and pat dry strawberries. Cut off top of strawberry that contains stem. 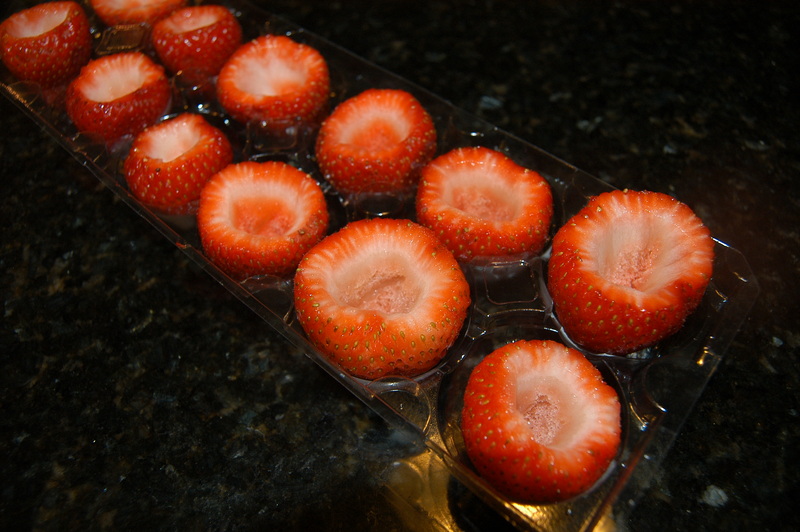 Using a paring knife, remove the white inner part of the strawberry. Also cut of bottom tip of strawberry (just a little to help sit flat). Prepare cheesecake mixture. Blend the cream cheese until smooth. Add vanilla and sweetener. Blend well. Add heavy whipping cream and blend well, being sure to scrape down the sides of the bowl. Blend for at least 1-2 minutes. Taste for sweetness and adjust if needed. Place cream cheese mixture in fridge for about 30 minutes to set up just a bit. 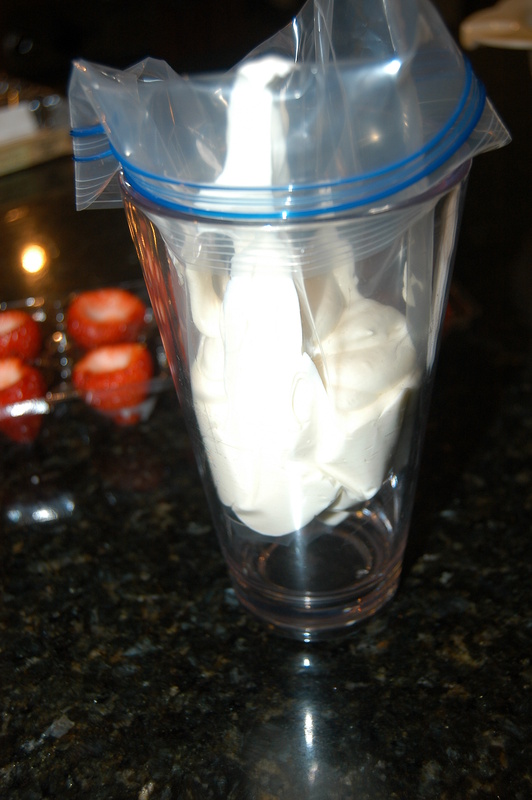 Either spoon cheesecake mixture into strawberries or pipe using a bag and tip. Finish off with a few chopped pecans. Thanks for your post, is there any way I can receive an e-mail sent to me when you write a new publish? On the home page, enter your email address on the right side bar to Follow!